Bringing US and International payment services to repair shops around the world. EMV Certified and ready to accept chip cards day one. 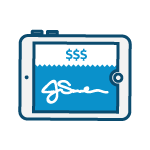 Capture signatures and purchase data with RepairQ’s point-of-purchase tablet app. 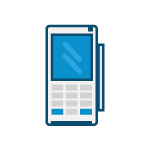 Heartland ensures secure transactions with advanced anti-fraud capabilities and patent-pending tokenization technology. 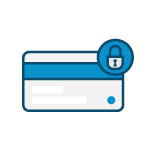 Every transaction is backed by a comprehensive breach warranty. Heartland serves businesses of all sizes and is invested in helping you achieve your goals. With care, focus, and quality at their core, they care about the people they serve and focus on delivering innovative solutions. Heartland Payment Systems is fully committed to quality in every product and service they provide. Heartland takes the pain out of payroll with customizable employee payments, integrated timekeeping, and tax reporting solutions. 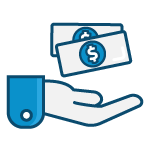 Heartland has a number of flexible lending partners to help merchants secure convenient capital funding from $5,000 to $2,000,000 depending on their needs. 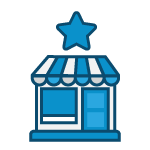 Customers tend to frequent and support merchants when they feel their patronage is appreciated, valued, and rewarded. 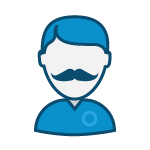 Our customer engagement tools were created with small business owners like you in mind to help turn your customer base into loyal fans and brand advocates.